Set of stainless steel drinking straws- 1 x straight- 1 x bent straw with cleaning brush in full colour printed drawstring pouch. 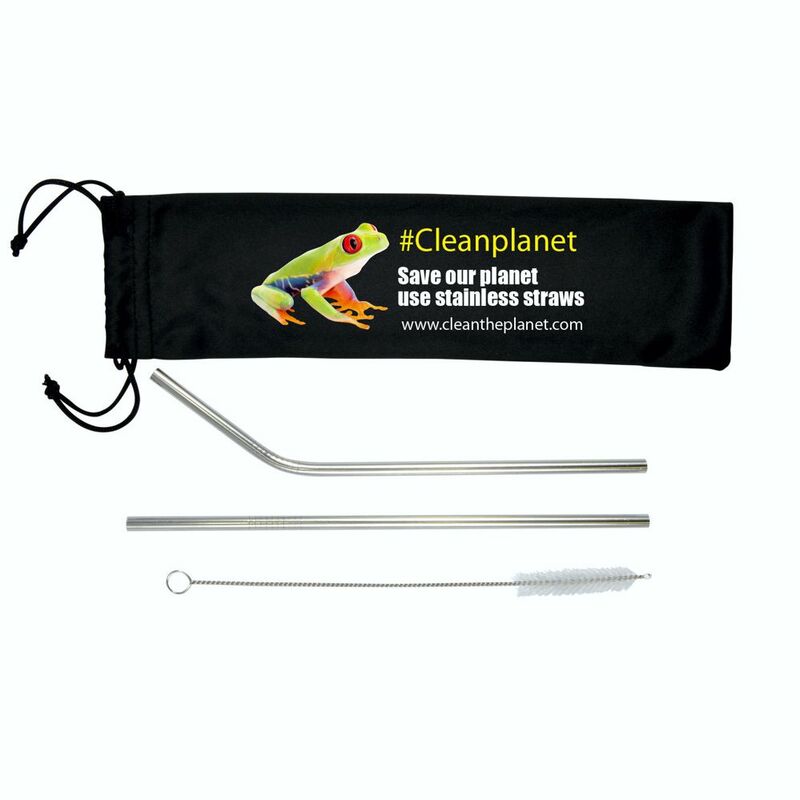 Straws are made from stainless steel- can be used for hot or cold drinks and dishwasher safe. Recommended cleaning method is to use brush provided. Provides an alternative to plastic straws to reduce plastic waste.